A DAMAGES CLAIM brought by a man whose wife took her own life the day after she was discharged from a hospital after being admitted for taking an overdose of pills has opened before the High Court. Angelo Cloonan told Justice Michael Hanna he still cannot believe that his wife of 25 years, Josephine, took her own life on 19 April 2011. Josie was admitted to the A&E Department at University Hospital Galway two days earlier after she took an overdose of prescribed medicine. She was seen by a psychiatrist at the hospital the following morning and was released home around midday on 18 April. Her body was discovered at the Cloonan’s home in Ballinfoyle Park, Headford Road, Galway the following day. 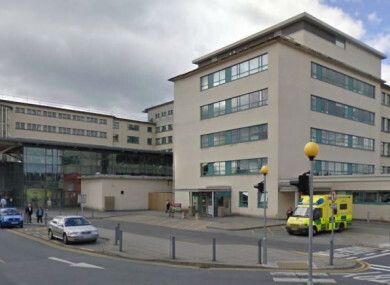 Cloonan has sued the HSE West and psychiatrist Dr Kishan Browne, who at the relevant time was employed as a registrar at University Hospital, Galway for allegedly failing to treat her properly. He claims that she should have been kept in the hospital and not released home following her overdose. Cloonan, represented by Conor Maguire SC instructed by solicitor Gerard O’Donnell, is seeking damages due to the mental distress he has suffered because of the defendant’s alleged negligence and breach of their duty of care towards him. His claims are brought on grounds including: the defendants failed to provide his late wife with proper medical care, failed to properly assess her and failed to insist that she be kept in hospital as an inpatient. It is also alleged that she was discharged from the hospital, which it is claimed resulted in her taking her own life when she should not have been discharged. Patrick Hanratty SC for the defendants told the court that it is the doctor’s case that after speaking to the Cloonans on 18 April they had opted for her to go home and that they did not opt to have her admitted as an inpatient. In his evidence to the court, Cloonan told Mcguire that this was not what happened. Dr Browne had recorded that Josie was “pleasant and chatty” when he spoke to her. Cloonan said she was “not pleasant at all” that morning, and described her as being out of it and not fully aware of her surroundings. He said Dr Browne spoke to his wife in a room for about 20 minutes and then spoke to both of them. Cloonan said Dr Browne told him that his wife was fine, was sorry for what she had done, and could go home. The doctor, he said, then wrote down a phone number of a piece of paper for a psychiatric day care services in Galway which the Cloonans were to contact so they could make an appointment. Cloonan said he wanted his wife to be kept in hospital for at least 24 hours. He said his wife had been good until 2010 when an investigation into allegations that Josephine and another person had been sexually abused during her childhood. He said the investigation involved the gardaí taking a statement off her in relation to the allegations. Cloonan said that this had distressed Josie greatly, and resulted in her “not being herself”. She had been on medication for anxiety and depression. Under cross-examinations from Hanratty, Cloonan denied that his version of events had become “distorted”. Cloonan said he did not accept Dr Brown’s version of events of the morning of 18 April. However, he accepted that he had not challenged Dr Browne’s version of events of that morning at the inquest into Josie’s death. Cloonan said he did not object because he was too upset that day over his wife’s death. He did accept that personal details concerning his wife recorded by Dr Browne were accurate, but said certain details were not correct. The case continues and is expected to last for several days. Email “Man sues HSE after wife dies day after being discharged from hospital following overdose”. Feedback on “Man sues HSE after wife dies day after being discharged from hospital following overdose”.